Meet Mulan and have your photo taken with her in the lobby before the show! Kids can also have their photos taken with Scooby Doo! Bring the family for a heartwarming celebration of culture, honor and the fighting spirit! When Mulan learns that her ailing father is drafted into Khan’s army, she protects him by serving in his place. Disguised as a man, she risks everything to maintain family honor and earn the love of her nation. 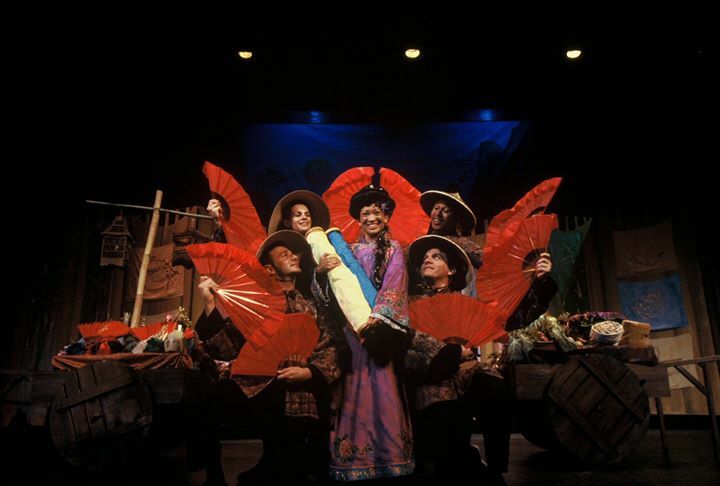 This noble Chinese folk tale features an extraordinary heroine, authentic costumes and props, and lovely songs. The Song of Mulan’s performances are on Sunday, April 23 at 11am and 2pm at the Ridgefield Playhouse located at 80 East Ridge in Ridgefield, CT. Tickets are $15 per person and you can visit Dimitri’s Diner before or after the show and enjoy 10% off your meal when you show your ticket! For more information, visit http://ridgefieldplayhouse.org.